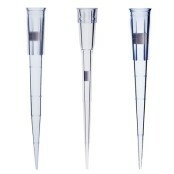 Using high quality pipette tips ensures you get maximum performance and no interference in your assays. We never compromise on quality. 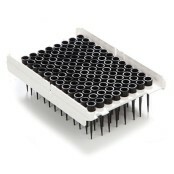 Our tips are prodced from the highest grade virgin polypropylene using computer-designed stainless steel moulds. The quality controll process takes the tips through up to 92 checks from resin to final product to give you the quality reassurance you require. Our eco-friendly packaging options include the popular Fastrack®tip refill system that gives you faster racking with less packing. 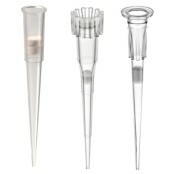 Alpha Laboratories has an extensive range of pipette tips for both routine and specialist applications. As part of an ongoing development programme, we continually improve our range to meet customer demands. Tip rack refill systems designed to reduce waste, save time and help lower your carbon footprint. 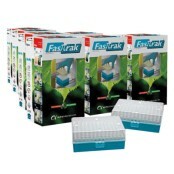 Fastrak tips are designed to fit a wide range of pipettes, which simplifies tip sourcing for the laboratory. Each batch of tips is thoroughly tested on pipettes for which they are designed to be used - your assurance of accuracy and precision with your pipette, time after time. The compatibility of our tips with new and existing models is checked on a regular basis. Compact and easy to store; the ATLAS II refill system helps you to maximise storage space in the laboratory. 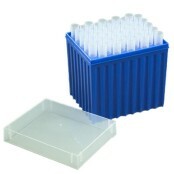 This unique system utilises the ATLAS Tip Loader which allows you to load 96 pipette tips in seconds and save up to 90% on generated waste. The systems recycler packs fit onto the top of the loader ensuring correct tip-to-rack alignment. 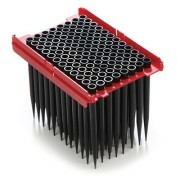 Allows you to sterilise racked tips by autoclaving as and when required. Gamma-irradiated to provide the convenience of sterile tips immediately to hand. Individually wrapped, ideal for when only a small number of tips are required.